It looks like there could finally be a resolution in the Darren McCauley transfer saga with the highly-sought after midfielder looking set to make the move to Scottish Championship side Inverness Caledonian Thistle. The 27-year-old has been attracting attention from a number of clubs including his hometown side Derry City and Danske Bank Premiership champions Crusaders. However, Coleraine chairman Colin McKendry has confirmed that Scottish Championship side Inverness Caledonian Thistle, managed by ex-Derry boss John Robertson, have had one bid rejected for McCauley but are in the process of returning with a better offer. 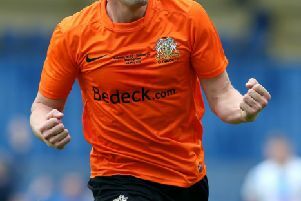 It seems likely that offer will be accepted as the Bannsiders try to conclude a deal for the transfer listed player.